Americans To Health Plans: Pay For The Pill : Shots - Health News Three-quarters of Americans favor insurance coverage of birth control pills, including under those policies bought with government assistance, an NPR-Thomson Reuters poll finds. Support is strongest among the young and those with at least a college degree. 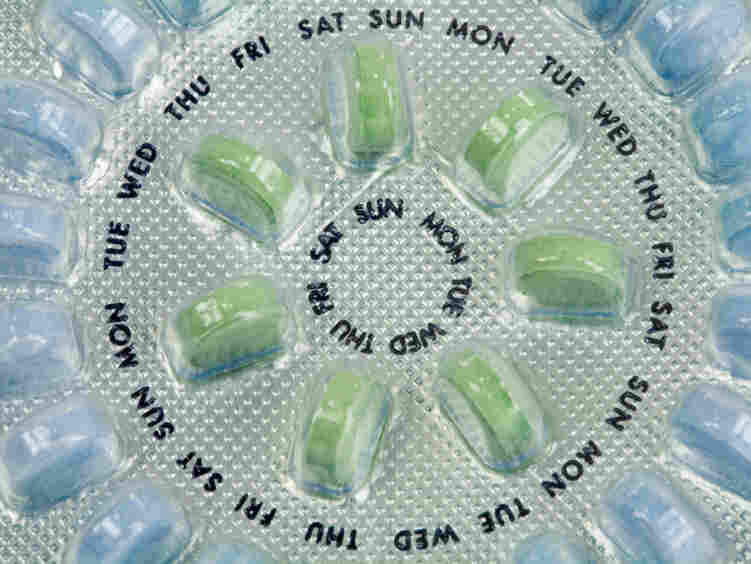 Does your health insurance cover birth control pills? After asking Americans for their views on abortion recently, we decided to follow up with questions about birth control pills and family planning. Specifically, should health insurance — both private policies and those bought with government assistance — cover the cost of oral contraceptives? When it comes to private insurance, including employer-based policies, 77 percent of people said it should cover all or some of the cost of oral contraceptives. The remainder said women should pay for the pill themselves. Now, what if someone is getting help from the government to buy private insurance? The results were about the same: 74 percent of people said the pill should be covered. In both cases, the support for coverage was strongest among the young and people with at least a college education. Separately, more than three-quarters of Americans support federal subsidies at clinics for low-income people to cover birth control and family planning — excluding abortions. Finally, we asked if people knew whether their insurance covered birth control pills. The most common answer at 43 percent was "don't know." Thirty-one percent of people said their plans cover the pill. Most insurance plans do cover the pill, and a majority of states have laws requiring insurance plans that cover prescription medicines to cover contraceptives. Dr. Raymond Fabius, chief medical officer at Thomson Reuters, noted to Shots, that people were even more supportive of government subsidies for family planning services and contraceptives for the poor than they were of private insurance plans covering the pill. The latest NPR-Thomson Reuters Health Poll drew responses in telephone interviews from more than 3,000 adults across the country. The margin for error is plus or minus 1.8 percentage points. You can find the full text of the questions and the responses here. Find the detailed results of past polls on Thomson-Reuters' site here, or click on the "NPR-Thomson Reuters Poll" tag below for a roundup.